His best-known works include "St. George and the Dragonet", Stan Freberg Presents the United States of America, his role on the television series Time for Beany, and a number of classic television commercials. Freberg was born Stanley Friberg in Pasadena, California, the son of Evelyn Dorothy (née Conner), a housewife, and Victor Richard Friberg (later Freberg), a Baptist minister. Freberg was a Christian and of Swedish and Irish descent. Freberg began his career doing impersonations on Cliffie Stone's radio show in 1943. Freberg was employed as a voice actor in animation shortly after graduating from Alhambra High School. He began at Warner Brothers in 1944 by getting on a bus and asking the driver to let him off "in Hollywood". As he describes in his autobiography, It Only Hurts When I Laugh, he got off the bus and found a sign that said "talent agency". He walked in, and the agents there arranged for him to audition for Warner Brothers cartoons where he was promptly hired. Thus began Freberg's professional career in entertainment, which lasted for more than 70 years, all the way up to his death. His first notable cartoon voice work was in a Warner Brothers cartoon called For He's a Jolly Good Fala, which was recorded but never filmed (due to the death of Fala's owner, President Franklin D. Roosevelt), followed by Roughly Squeaking (1946) as Bertie; and in 1947, he was heard in It's a Grand Old Nag (Charlie Horse), produced and directed by Bob Clampett for Republic Pictures; The Goofy Gophers (Tosh), and One Meat Brawl (Grover Groundhog and Walter Winchell). He often found himself paired with Mel Blanc while at Warner Bros., where the two men performed such pairs as the mice Hubie and Bertie and Spike the Bulldog and Chester the Terrier. In 1950, he was the voice of Friz Freleng's "Dumb Dog" in "Foxy by Proxy", who meets up with a disguised Bugs Bunny wearing a fox suit. He was the voice of Pete Puma in the 1952 cartoon Rabbit's Kin, in which he did an impression of an early Frank Fontaine characterization (which later became Fontaine's "Crazy Guggenheim" character). Freberg is often credited with voicing the character of Junyer Bear in Bugs Bunny and the Three Bears (1944), but that was actor Kent Rogers. After Rogers was killed during World War II, Freberg assumed the role of Junyer Bear in Chuck Jones' Looney Tunes cartoon What's Brewin', Bruin? (1948), featuring Jones' version of The Three Bears. He also succeeded Rogers as the voice of Beaky Buzzard. Freberg was heard in many Warner Brothers cartoons, but his only screen credit on one was Three Little Bops (1957). His work as a voice actor for Walt Disney Productions included the role of Mr. Busy the Beaver in Lady and the Tramp (1955) and did voice work in Susie the Little Blue Coupe and Lambert the Sheepish Lion. Freberg also provided the voice of Sam, the orange cat paired with Sylvester in the Academy Award-nominated short Mouse and Garden (1960). He voiced Cage E. Coyote, the father of Wile E. Coyote, in the 2000 short Little Go Beep. Freberg was cast to sing the part of the Jabberwock in the song "Beware the Jabberwock" for Disney's Alice in Wonderland, with the Rhythmaires and Daws Butler. Written by Don Raye and Gene de Paul, the song was a musical rendering of the poem "Jabberwocky" from Lewis Carroll's Through the Looking-Glass. The song was not included in the final film, but a demo recording was included in the 2004 and 2010 DVD releases of the movie. Freberg made his movie debut as an on-screen actor in the comedy Callaway Went Thataway (1951), a satirical spoof on the marketing of Western stars (apparently inspired by the TV success of Hopalong Cassidy). Freberg costarred with Mala Powers in Geraldine (1953) as sobbing singer Billy Weber, enabling him to reprise his satire on vocalist Johnnie Ray (see below). In 1963's It's a Mad, Mad, Mad, Mad World, Freberg appeared in a non-speaking role as the Deputy Sheriff and acted as the voice of a dispatcher. Contrary to popular belief George Lucas called upon Freberg, not Mel Blanc, to audition for the voice of the character C-3PO for the 1977 film Star Wars. After he and many others auditioned for the part, Freberg suggested that Lucas use mime actor Anthony Daniels' voice. 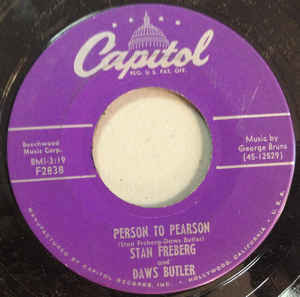 Freberg began making satirical recordings for Capitol Records, beginning with the February 10, 1951, release of "John and Marsha", a soap opera parody that consisted of the title characters (both played by Freberg) doing nothing but repeating each other's names (with intonations to match the moods). Some radio stations refused to play "John & Marsha," believing it to be an actual romantic conversation between two real people. In a 1954 follow-up, he used pedal steel guitarist Speedy West to satirize the 1953 Ferlin Husky country hit, "A Dear John Letter", as "A Dear John and Marsha Letter" (Capitol 2677). A seasonal recording, "The Night Before Christmas"/"Nuttin' for Christmas", made in 1955, still remains a cult classic. With Daws Butler and June Foray, Freberg produced his 1951 Dragnet parody, "St. George and the Dragonet", a #1 hit for four weeks in October 1953. It sold over one million copies and was awarded a gold disc. After "I've Got You Under My Skin" (1951), he followed with more popular musical satires, such as "Sh-Boom" (1954), a parody of the song recorded by The Chords. At the end, he yells "STELLA!" at a woman, imitating Marlon Brando in A Streetcar Named Desire. The B side of that record was a parody of "C'est si bon", broadcast in 1955 on the TV show Sam and Friends. Other songs include "The Yellow Rose of Texas" (1955), where a "Yankee" snare drummer gets out of hand on the recording; "Rock Island Line", based on the 1955 Lonnie Donegan skiffle version, with interruptions by Peter Leeds; and "The Great Pretender" (1956). He recorded Elvis Presley's first gold record, "Heartbreak Hotel"; in Freberg's version, the echo effect goes out of control, and Elvis eventually rips his jeans during the performance. With Foray, he recorded "The Quest for Bridey Hammerschlaugen", a spoof of The Search for Bridey Murphy by Morey Bernstein, a 1956 book on hypnotic regression to a past life and an LP of the first actual hypnosis session. Freberg used a beatnik musician theme in his 1956 parody of "The Great Pretender", the hit by The Platters—who, like Ray (see above) and Belafonte and Welk (see both below), were not pleased. At that time, when it was still hoped that musical standards might be preserved, it was quite permissible to ridicule the ludicrous, as Freberg had obviously thought when he parodied Presley. The pianist in Freberg's parody, a devotee of Erroll Garner and George Shearing, rebels against playing a single-chord accompaniment, retorting, "I'm not playing that 'clink-clink-clink jazz'!" But Freberg is adamant about the pianist's sticking to The Platters' style: "You play that 'clink-clink-clink jazz', or you won't get paid tonight!" The pianist relents—sort of. The pianist even quotes the first six notes from Shearing's classic piece "Lullaby of Birdland", before returning to the song. The song concludes with the pianist taking a liking to the arrangement only after he gets into an uncontrollably accelerating groove, despite the histrionic singer's pleas to keep tempo; the singer has to escape the studio. Freberg's "Banana Boat (Day-O)" (1957) satirized Harry Belafonte's popular recording of "Banana Boat Song". In Freberg's version, the lead singer is forced to run down the hall and close the door after him to muffle the sound of his "Day-O!" because the beatnik bongo drummer, voiced by Leeds, complains, "It's too shrill, man. It's too piercing!" When he gets to the lyric about "A beautiful buncha ripe banana/Hide the deadly black tarantula," the drummer protests, "I don't dig spiders!" The flip is "Tele-Vee-Shun", an anti-TV song about what television has done to his family, sung in a heavy faux-Trinidadian accent and set to a Calypso tune. Freberg first recorded the song in 1952, but the 1957 version is the most well known, which lampoons Elvis Presley in one verse: "I turn on Elvis Presley and my daughter scream. I fear she have a nervous breakdown cos of heem. I wonder why he wiggle-waggle to de beat. As a boy he must have had a loose bicycle seat." Freberg's musical parodies were a by-product of his collaborations with Billy May, a veteran big band musician and jazz arranger, and his Capitol Records producer, Ken Nelson. Two weeks after Johnny Mathis' "Wonderful! Wonderful!" fell off from what became the Billboard Hot 100, "Wun'erful, Wun'erful! (Sides uh-one & uh-two)", Freberg's 1957 spoof of TV "champagne music" master Lawrence Welk, debuted. To replicate Welk's sound, May and some of Hollywood's finest studio musicians and vocalists worked to clone Welk's live on-air style, carefully incorporating bad notes and mistimed cues. Billy Liebert, a first-rate accordionist, copied Welk's accordion playing. In the parody, the orchestra is overwhelmed by the malfunctioning bubble machine and the entire Aragon Ballroom eventually floats out to sea. Welk denied he had ever said "Wunnerful, Wunnerful! ", though it became the title of Welk's autobiography (Prentice Hall, 1971). Some of the regulars on Welk's show got lampooned as well; Alice Lon became "Alice Lean," Larry Hooper became "Larry Looper," trumpeter-novelty singer Rocky Rockwell became "Stony Stonedwell" and the Lennon Sisters became the "Lemon Sisters." Freberg also tackled political issues of the day. On his radio show, an extended sketch paralleled the Cold War brinkmanship between the U.S. and the Soviet Union by portraying an ever-escalating public relations battle between the El Sodom and the Rancho Gomorrah, two casinos in the city of Los Voraces (Spanish for "The Greedy Ones"—a thinly disguised Las Vegas). The sketch ends with the ultimate tourist attraction, the Hydrogen Bomb, which turns Los Voraces into a vast, barren wasteland. Network pressure forced Freberg to remove the reference to the hydrogen bomb and had the two cities being destroyed by an earthquake instead. The version of "Incident at Los Voraces", released later on Capitol Records, contains the original ending. Freberg had poked fun at McCarthyism in passing in "Little Blue Riding Hood" with the line, "Only the color has been changed to prevent an investigation." Later, he blatantly parodied Senator Joseph McCarthy with "Point of Order" (taken from his frequent objection). The "suspect" being investigated was the black sheep from the nursery rhyme,"Baa, Baa, Black Sheep". (Butler: "I would be suspicious of anyone who tried to rhyme dame with lane.") Capitol's legal department was very nervous. Freberg describes being called in for a chat with Robert Karp, the department head, and being asked whether he had ever belonged to any group that might get attention from McCarthy. He replied, "I am, and have been for a long time, a card-carrying member of... "—the executive went pale—"... the Little Orphan Annie Fan Club of America." The executive retorted, "No, this is serious; this is not funny, Freberg. Stop making jokes!" A watered-down version of the parody was eventually aired, and Freberg never found himself "hauled up before a committee." On two occasions, Capitol refused to release Freberg's creations. "That's Right, Arthur" was a barbed parody of controversial 1950s radio/TV personality Arthur Godfrey, who expected his stable of performers—known as "little Godfreys"—to toady to him endlessly. The dialogue included Freberg's "Godfrey" monologue, punctuated by Butler imitating Godfrey announcer Tony Marvin, repeatedly interjecting, "That's right, Arthur!" between Godfrey's comments. Capitol feared Godfrey might take legal action and sent a tape of the sketch to his legal department for permission, which was denied. Capitol also rejected the equally acerbic "Most of the Town", a spoof of Ed Sullivan's "The Toast of the Town", under the same circumstances. Both recordings eventually surfaced on a box-set Freberg retrospective issued by Rhino Records. Freberg continued to skewer the advertising industry after the demise of his show, producing and recording "Green Chri$tma$" in 1958, a scathing indictment of the over-commercialization of the holiday, in which Butler soberly hoped instead that we'd remember "Whose birthday we're celebrating". The satire ended abruptly with a rendition of "Jingle Bells" punctuated by cash register sounds. The original version was somewhat longer when it was first released in 1958, but in later years Capitol did not reissue the full recording. Freberg also revisited the "Dragnet" theme, with "Yulenet", also known as "Christmas Dragnet", in which the strait-laced detective convinces a character named "Grudge" that Santa Claus really exists (and Columbus, Cleveland, Cincinnati, and the Easter Bunny, but Grudge still hadn't made up his mind yet about Toledo). Butler does several voices on that record. In 1958, the Oregon Centennial Commission, under the sponsorship of Blitz-Weinhard Brewing Company, hired Freberg to create a musical to celebrate Oregon's one-hundredth birthday. The result was Oregon! Oregon! A Centennial Fable in Three Acts. Recorded at Capitol in Hollywood, it was released during the Oregon Centennial in 1959 as a 12″ vinyl LP album. Side one featured two versions of an introduction by Freberg (billed as "Stan Freberg, Matinee Idol"), with the second version including a few words from the president of Blitz-Weinhard Co. This was followed by the show itself, which runs for 21 minutes. Side two includes separate individual versions of each of the featured songs, including several variations on the title piece, Oregon! Oregon! Fifty years later, as Oregon approached its Sesquicentennial, an updated version was prepared by Freberg and the Portland band Pink Martini as part of a signature series of performances throughout the state. Pink Martini toured the state and performed four regional performances in the northern, southern and central areas of Oregon in August and September 2009. This was made possible by a grant from the Kinsman Foundation for a $40,000 launch of Pink Martini's Oregon! Oregon! 2009 with Freberg. In 1960, in the light of the payola scandal, Freberg made a two-sided single titled "The Old Payola Roll Blues", which tells the story of a corrupt recording studio promoter (voiced by Jesse White) find a teenager who cannot sing named "Clyde Ankle" (likely a take-off on Paul Anka). He records a song called "High School OO OO", which lasted only a few seconds. (Noting this, Ankle asks, "Kind of a short song, isn't it?" To which the producer answers, "Gets more airplay that way.") The flip side was, "I Was on My Way to High School" (complete with fake audience noise from a "scream machine"). The promoter then tries to bribe a disc jockey at a jazz station to play the song on the air, which he flatly refuses, suspecting that the promoter was never in the music business in the first place. Afterward, a song in the big band style heralds the end of rock and roll and a resurgence of swing and jazz. Freberg's record was on the Hot 100 only the week of Leap Day 1960, at #99, about three and a half months after Tommy Facenda's multi-versioned "High School U.S.A." peaked at #28. Alan Freed, whose career fell prey to charges of payola, reportedly laughed at Freberg's interpretation of the scandal. Stan Freberg Presents the United States of America, Volume One: The Early Years (1961) combined dialogue and song in a musical theatre format. The original album musical, released on Capitol, parodies the history of the United States from 1492 until the end of the Revolutionary War in 1783. In it, Freberg parodied both large and small aspects of history. For instance, in the Colonial era, it was common to use the long s, which resembles a lowercase f, in the middle of words; thus, as Ben Franklin is reading the Declaration of Independence, he questions the passage, "Life, liberty, and the purfuit of happineff?!?" Most of that particular sketch is a satire of McCarthyism. For example, Franklin remarks, "You...sign a harmless petition, and forget all about it. Ten years later, you get hauled up before a committee." In 2019, Stan Freberg Presents the United States of America, Volume One: The Early Years was selected by the Library of Congress for preservation in the National Recording Registry for being "culturally, historically, or aesthetically significant". Freberg's early parodies revealed his obvious love of jazz. His portrayals of jazz musicians were usually stereotypical "beatnik" types, but jazz was always portrayed as preferable to pop, calypso, and particularly the then-new form of music, rock and roll. He whopped doo-wop in his version of "Sh-Boom" and lampooned Elvis Presley with an echo/reverb rendition of "Heartbreak Hotel". The United States of America includes a sketch involving the musicians in the painting The Spirit of '76. The terribly hip fife player ("Bix", played by Freberg) and the younger drummer (played by Walter Tetley) argue with the older, impossibly square drummer ("Doodle", also voiced by Freberg) over how "Yankee Doodle" should be performed. The Stan Freberg Show was a 1957 replacement for Jack Benny on CBS radio. The satirical show, produced by Pete Barnum, featured elaborate production, and included most of the team he used on his Capitol recordings, including Foray, Leeds, and Butler. Billy May arranged and conducted the music. The Jud Conlon Singers, who had also appeared on Freberg recordings, were regulars, as was singer Peggy Taylor, who later that year participated in his "Wun'erful, Wun'erful!" two-sided 45, recorded to capitalize on the response it received on the show. The show failed to attract a sponsor after Freberg decided he did not want to be associated with the tobacco companies that had sponsored Benny. In lieu of actual commercials, Freberg mocked advertising by touting such products as "Puffed Grass" ("It's good for Bossie, it's good for me and you! "), "Food" ("Put some food in your tummy-tum-tum! "), and himself ("Stan Freberg—the foaming comedian! Bobba-bobba-bom-bom-bom"), a parody of the well-known Ajax cleanser commercial. The lack of sponsorship was not the only issue. Freberg frequently complained of radio network interference. Another sketch from the CBS show, "Elderly Man River", anticipated the political correctness movement by decades. Butler plays "Mr. Tweedly", a representative of a fictional citizens' radio review board, who constantly interrupts Freberg with a loud buzzer as Freberg attempts to sing "Old Man River". Tweedly objects first to the word "old", "which some of our more elderly citizens find distasteful". As a result, the song's lyrics are progressively and painfully distorted as Freberg struggles to turn the classic song into a form that Tweedly will find acceptable "to the tiny tots" listening at home: "He don't, er, doesn't plant 'taters, er, potatoes… he doesn't plant cotton, er, cotting… and them-these-those that plants them are soon forgotting", a lyric of which Freberg is particularly proud. Even when the censor finds Freberg's machinations acceptable, the constant interruption ultimately brings the song to a grinding halt (just before Freberg would have had to edit the line "You gets a little drunk and you lands in jail"), saying, "Take your finger off the button, Mr. Tweedly—we know when we're licked", furnishing the moral and the punch line of the sketch at once. But all of these factors forced the cancellation of the show after a run of only 15 episodes. In 1966, he recorded an album, Freberg Underground, in a format similar to his radio show, using the same cast and orchestra. He called it "pay radio", in a parallel to the phrase pay TV (the nickname at the time for subscription-based cable and broadcast television) "…because you have to go into the record store and buy it". This album is notable for giving Dr. Edward Teller the Father of the Year award for being "father of the hydrogen bomb" ("Use it in good health! "); for lampooning all-digit dialing ("They Took Away Our Murray Hills"); and for a combined satire ("The Flak-man and Reagan") of the Batman television series and the 1966 California Governor's race between Edmund G. "Pat" Brown and Ronald Reagan, in which the idea of Reagan in the future running for U.S. president and winning, was used in song as a final, over-the-top gag. The album is probably most famous for a bit in which, through the magic of sound effects, Freberg drained Lake Michigan and refilled it with hot chocolate and a mountain of whipped cream while a giant maraschino cherry was dropped like a bomb by the Royal Canadian Air Force to the cheers of 25,000 extras viewing from the shoreline. Freberg concluded with, "Let's see them do that on television!" That bit became a commercial for advertising on radio. Freberg returned to radio in several episodes of The Twilight Zone Radio Dramas in the early 2000s, including "The Brain Center at Whipple's," "Four O'Clock," "The Fugitive," "Gentlemen, Be Seated," "Kick the Can," "The Masks," and "Static." Beginning in 1949, Freberg and Butler provided voices and were the puppeteers for Bob Clampett's puppet series, Time for Beany, a triple Emmy Award winner (1950, 1951, 1953). Broadcast live KTLA in Los Angeles, and distributed nationwide via kinescope by the Paramount Television Network, the pioneering children's TV show garnered considerable acclaim. Among its fans was Albert Einstein, who once reportedly interrupted a high-level conference by announcing, "You will have to excuse me, gentlemen. It is time for Beany." Freberg made television guest appearances on The Ed Sullivan Show and other TV variety shows, usually with Orville the Moon Man, his puppet from outer space; he reached through the bottom of Orville's flying saucer to control the puppet's movements and turned away from the camera when he delivered Orville's lines. Freberg had his own ABC special, Stan Freberg Presents the Chun King Chow Mein Hour: Salute to the Chinese New Year (February 4, 1962), but he garnered more laughs when he was a guest on late night talk shows. A piece from Freberg's show was used frequently on Offshore Radio in the UK in the 60's: "You may not find us on your TV". Other on-screen television roles included The Monkees (1966) and The Girl from U.N.C.L.E. (1967). Federal Budget Review was a 1982 PBS television special lampooning the federal government. In 1996, he portrayed the continuing character of Mr. Parkin on Roseanne, and both Freberg and his son had roles in the short-lived Weird Al Show in 1997. Contadina tomato paste: "Who put eight great tomatoes in that little bitty can?" Jeno's pizza rolls: A parody of the Lark cigarettes commercial that used the William Tell Overture and a pick-up truck with a sign in the bed saying "Show us your Lark pack", here ending with a confrontation between a cigarette smoker, portrayed by Barney Phillips (supposedly representing the Lark commercial's announcer) and Clayton Moore as the Lone Ranger over the use of the music. Jay Silverheels also appears as Tonto, filling his possibles bag with pizza rolls, after asking "Have a Pizza Roll, kemo sabe?" It was regarded as one of the most brilliantly conceived and executed TV ads of the period; after one showing on The Tonight Show, Johnny Carson remarked that it was the first commercial he had ever seen to receive spontaneous applause from the studio audience. Jeno's pizza, in a parody of Scope mouthwash commercials. "You know why nobody likes your parties, Mary? You have bad pizza—bad pizza!" Sunsweet pitted prunes: Depicted as the "food of the future" in a futuristic setting, until science fiction icon Ray Bradbury, a friend of Freberg's (shown on a wall-to-wall television screen reminiscent of Fahrenheit 451) butts in: "I never mentioned prunes in any of my stories." "You didn't?" "No, never. I'm sorry to be so candid." "No, they're not candied" (rim shot). Bradbury reportedly refused to consider doing a commercial until Freberg told him, "I'm calling it Brave New Prune", prompting Bradbury to ask, "When do we start?" Prune sales increased 400 percent the year following the campaign. Another Sunsweet commercial features Ronald Long as a picky eater: "They're still rather badly wrinkled, you know", and ends with the famous line, "Today, the pits; tomorrow, the wrinkles. Sunsweet marches on!" Heinz Great American Soups: Ann Miller is a housewife who turns her kitchen into a gigantic production number, singing such lyrics as "Let's face the chicken gumbo and dance!" After watching his wife's flashy tap dancing, her husband, played by veteran character actor Dave Willock, asks, "Why do you always have to make such a big production out of everything?" At the time (1970), this was the most expensive commercial ever made. Jacobsen Mowers: Sheep slowly munch on a front lawn. On camera reporter/announcer (voice of William Woodson): "Jacobsen mowers. Faster... than sheep!" Encyclopædia Britannica: The boy in these commercials is Freberg's son Donavan. Freberg talks to him from off screen. Chun King Chinese Food: Magazine ad, featuring a line-up of nine Chinese men and one white man, all with stethoscopes around their necks and dressed in white doctors' tunics, with the caption, "Nine out of ten doctors recommend Chun King Chow Mein!" Kaiser Aluminum produced foil, to rival Reynolds Wrap. Freberg created a sales campaign based on Kaiser's difficulties in getting grocers to stock their product, featuring the "Kaiser Foil Salesman". Despite the company's initial hesitation, the campaign produced a huge increase in distribution and sales. Today, these advertisements are considered classics by many critics. 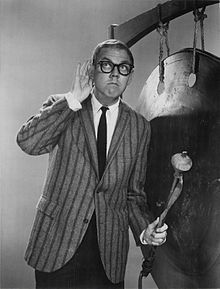 Though Bob & Ray had pioneered intentionally comic advertisements (stemming from a hugely successful campaign for Piels beer), Stan Freberg is usually credited as being the first person to introduce humor into television advertising with memorable campaigns. He felt a truly funny commercial would cause consumers to request a product, as was the case with his elaborate ad campaign that prompted stores to stock Salada tea. Jeno Paulucci, then the owner of Chun King, had to pay off a bet over the success of Freberg's first commercial by pulling Freberg in a rickshaw on Hollywood's La Cienega Boulevard. Freberg won 21 Clio awards for his commercials. Many of those spots were included in the Freberg four-CD box set Tip of the Freberg. In his autobiography, It Only Hurts When I Laugh, Freberg recounts much of his life and early career, including his encounters with such show business legends as Milton Berle, Frank Sinatra and Ed Sullivan, and the struggles he endured to get his material on the air. He had brief sketches on KNX (AM) radio in the mid-1990s, beginning each with "Freberg here!" In one sketch, Freberg mentioned that the band played "Inhale to the Chief" at Bill Clinton's inauguration. He guest starred multiple times on Garfield and Friends and The Garfield Show, where he provided the voice of Dr. Whipple, and as the studio chairman on an episode of Taz-Mania. Freberg was inducted into the National Radio Hall of Fame in 1995. From 1995 until October 6, 2006, Freberg hosted When Radio Was, a syndicated anthology of vintage radio shows. The release of the 1996 Rhino CD The United States of America Volume 1 (the Early Years) and Volume 2 (the Middle Years) suggested a possible third volume (which never happened). This set includes some parts written but cut because they would not fit on a record album. He appeared on "Weird Al" Yankovic's The Weird Al Show, playing both the J.B. Toppersmith character and the voice of the puppet Papa Boolie. Yankovic has acknowledged Freberg as one of his greatest influences. Freberg is among the commentators in the special features on the multiple-volume DVD sets of the Looney Tunes Golden Collection and narrates the documentary "Irreverent Imagination" on Volume 1. Freberg was the announcer for the boat race in the movie version of Stuart Little, and in 2008 he guest starred as Sherlock Holmes in two episodes of The Radio Adventures of Dr. Floyd. From 2008 onwards Freberg voiced numerous characters, including Doctor Whipple and Fluffykins, on The Garfield Show. He recorded his last voice-over role for the episode "Rodent Rebellion" in 2014. Freberg died on April 7, 2015, aged 88, at UCLA Medical Center, Santa Monica in Santa Monica, California from pneumonia. In 1961's The Parent Trap, the characters during the animated opening title sequence refer to each other as John and Marsha. In 2007, comedian the great Luke Ski recorded a 10-minute homage called MC Freberg, a parody illustrating what a Freberg-type satire of rap music would have sounded like. Originally recorded for The FuMP, the track also appears on Ski's album BACONspiracy. In Season One, Episode Three of The Monkees, which aired on 26 September 1966, Freberg appeared as evil toy marketer Mr. Daggart, who favors new, technology-minded toys instead of old, hand-made toys, and is quickly shown up by the four Monkees. On the fourth-season premiere of the TV series Mad Men, Peggy Olson (Elisabeth Moss) and Joey Baird (Matt Long) act out the "John and Marsha" comedy soap opera parody and repeatedly call each other John and Marsha. Benny Hill did a video version of Freberg's "John and Marsha" on his November 24, 1971 special, in the form of an art film parody titled "The Lovers", with Benny as John, Jenny Lee-Wright as Marsha, and Henry McGee as a third character, George; the distinguishing visual factor being that the actors were photographed from the neck down. "John and Marsha" also is parodied in the Rocko's Modern Life episode "Yarnbenders." ^ Resting Places: The Burial Sites of More Than 14,000 Famous Persons, 3d ed. ^ "Influential Satirist, Ad Maverick Stan Freberg Dies at 88". NBC News. April 7, 2015. Retrieved May 26, 2015. ^ "Stanley Friberg, Born 08/07/1926 in California". CaliforniaBirthIndex.org. August 7, 1926. Retrieved January 5, 2014. ^ Jalon, Allan (February 18, 1988). "Stan Freberg, a Sage for the Masses, Returns to Public Eye". Los Angeles Times. Retrieved September 3, 2011. ^ Frankel, Mark. "Stan Freberg Pens a Memoir About His Strange Career Move—from Comedy to Commercials". People.com. Retrieved January 5, 2014. ^ Yardley, Jonathan (December 14, 1988). "Freberg, Laughing All the Way". Pqasb.pqarchiver.com. Retrieved January 5, 2014. ^ "An audience with Stan Freberg". Cosmik Debris. 1999. Archived from the original on February 15, 2009. Retrieved February 8, 2009. ^ "Stan Freberg". IMDb.com. Retrieved October 28, 2017. ^ "Little Go Beep - Video Dailymotion". Dailymotion.com. Retrieved August 17, 2015. ^ "Interview with Mel Blanc's son Noel". Harrisonline.com. Retrieved September 27, 2012. ^ "Stan Freberg". POVonline. Mark Evanier. Archived from the original on February 19, 2009. Retrieved February 8, 2009. ^ a b "Show 1 – Play A Simple Melody: American pop music in the early fifties. [Part 1] : UNT Digital Library". Digital.library.unt.edu. Retrieved September 27, 2012. ^ a b Gilliland, John (1969). "Show 2 – Play A Simple Melody: American pop music in the early fifties. [Part 2]: UNT Digital Library" (audio). Pop Chronicles. University of North Texas Libraries. ^ "C'est Si Bon". IMDb.com. October 28, 2017. Retrieved October 28, 2017. ^ "Show 5 – Hail, Hail, Rock 'n' Roll: The rock revolution gets underway. [Part 1] : UNT Digital Library". Digital.library.unt.edu. March 9, 1969. Retrieved May 13, 2012. ^ The parody was partly parodied when Mitchel Torok recorded "All Over Again, Again" for Columbia Records in mid-March 1959, but billed it as "The Great Pretender", as a spoof on the recent Sun Records recordings of Johnny Cash. Cash had only recently been signed to Columbia. The annoying pianist on the Freberg record was replaced by an equally annoying banjo player and a showboating guitarist on the Columbia release, a song written by Torok's wife who was then billed as "R. Redd" (Ramona Redd). ^ "Show 18 – Blowin' in the Wind: Pop discovers folk music. [Part 1] : UNT Digital Library". Pop Chronicles. Digital.library.unt.edu. May 25, 1969. Retrieved September 24, 2010. ^ On the 14 October 1978 edition of "American Top 40", Casey Kasem said that "Wonderful! Wonderful!" was Welk's favorite expression. ^ "The Stan Freberg Show: Episodes One Through Seven". The Official Website of Daws Butler. Joe Bevilacqua and Lorie Kellogg. July 2003. Retrieved February 8, 2009. ^ a b Simon, Scott (February 14, 2009). "Oregon's 150th Calls for a New Act". Weekend Edition Saturday. National Public Radio (NPR). Retrieved February 14, 2009. ^ a b "Oregon! Oregon! A Centennial Fable in Three Acts". Wolverine Antique Music Society. Retrieved February 14, 2009. ^ Stewart, George (1999). "An Interview with Stan Freberg". Retrieved March 15, 2012. ^ "Stan Freberg Discography". Warren Debenham, Norm Katuna. February 2008. Archived from the original on June 15, 2011. Retrieved February 8, 2009. ^ "Quotes about The Monkees". Monkeesrule43 Online. Retrieved August 4, 2016. ^ "REELRADIO Golden Gift – ButterNut Coffee Presents Omaha Starring Stan Freberg". Reelradio.com. Retrieved May 13, 2012. ^ "YouTube – Jeno's Pizza Rolls Commercial". Youtube.com. June 17, 2006. Retrieved September 27, 2012. ^ "YouTube – Ray Bradbury Prunes Commercial". Youtube.com. December 13, 2007. Retrieved September 27, 2012. ^ "Stan Freberg". The Automat. Retrieved October 3, 2014. ^ Debbie Foster; Jack Kennedy. H.J. Heinz Company. Books.google.com. p. 67. Retrieved April 7, 2015. ^ "Foiled Again! More Kaiser Aluminum Spots by Stan Freberg". Cartoonresearch.com. Retrieved October 3, 2014. ^ "2006 Los Angeles Area Governors Award Honor to Television Pioneer Stan Freberg". Academy of Television Arts & Sciences. June 22, 2006. Retrieved February 8, 2009. ^ The Science Fiction Film Awards, The Museum of Classic Chicago Television, 1978. ^ a b "Comedian and Voice Actor Stan Freberg Dies at 88". Variety.com. Retrieved April 7, 2015. ^ Yankovic, Al (October 30, 2014). "'Weird Al' Yankovic Salutes His Hero, Stan Freberg". Variety.com. Retrieved February 22, 2017. ^ "Garfield News - News From ME". Newsfromme.com. October 22, 2016. Retrieved October 28, 2017. ^ Byrge, Duane (April 7, 2015). "Stan Freberg, Acclaimed Satirist, Dies at 88". The Hollywood Reporter. Retrieved April 7, 2015. ^ Martin, Douglas (April 7, 2015). "Stan Freberg, Madcap Adman and Satirist, Dies at 88". New York Times. Retrieved April 8, 2015. ^ a b Anderson, Stacey. "Stan Freberg: five top parodies from the master of the funny commercial | Culture". The Guardian. Retrieved August 17, 2015. ^ "The great Luke Ski - MC Freberg Lyrics". Lyricsmania.com. Retrieved August 17, 2015. ^ Don Aucoin, Globe Staff (July 31, 2010). "Mad about 'John & Marsha'". The Boston Globe. ^ "disc label". Archived from the original on October 10, 2016. Retrieved April 11, 2019. 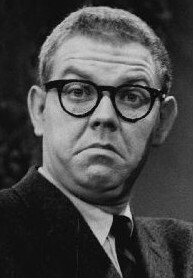 Wikimedia Commons has media related to Stan Freberg. The Pop Chronicles interviewed Freberg on April 18, 1968; he appears in shows 1, 2, 5, 7, 18, and 49. Stan Freberg birthday episode of Ben's Wacky Radio on Internet Archive Hour two features Stan Freburg audio clips.